Our firm will register its patents in Mexico in the short term. 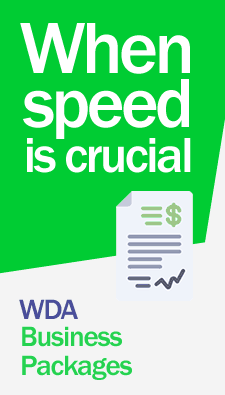 WDALAW has professionals, experts in the area who will assist you personally 365 days a year. Contact us now. For more information on how to register your patents in Mexico and about our services and fees.Contact us now. For the Patent Registry in Mexico, the responsible state agency is the National Institute of Industrial Property. Where an invention, which is every human creation that transforms matter or energy for the benefit of man and satisfies his needs, can be registered under the patent figure. Thus only inventions or processes that are new, are the result of an inventive step and have industrial application, will be patentable. They also recorded the figure of industrial design, industrial drawings (combination of figures, lines or colors that incorporate an industrial product for ornamentation purposes and give it a peculiar and own look). They are also registrable. Industrial models (any three-dimensional form that serves as a type or pattern for the manufacture of an industrial product, which gives it a special appearance insofar as it does not imply a technical effect) and utility model figure, objects, utensils, apparatus or tools which, as a result of a change in its arrangement, configuration, structure or shape. Patents will have a 20-year non-extendable protection record. An Industrial Design Registry is 15 years and a utility model registry will have 10 years of protection. All these years will be counted from the date of submission of the application. For more information on how to register your patents in Mexico and about our services and fees. Contact us now. Poland: L’OREAL not similar to O’LEARY? Oh really?